Monarch Funding Corp. has been in business since 1979, and a Direct Lender since 1983. There is nothing we havenâ€™t seen over the course of our years in the mortgage industry. We are Bankers (not Brokers) so our Loan Approvals are legitimately approvals. We are an independent family owned and operated business. Timely closes are our specialty. We underwrite files up front to make sure there are no surprises during the escrow process. The home buying process is already one of the most important and stressful decisions people will ever make. 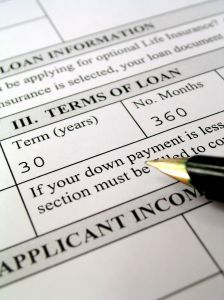 We do our part to make the financing portion a smooth, easy, pain-free experience. Our loan officers are available nights and weekends to answer any questions and handle pre-approvals. We are an Equal Housing Lender with a spotless record. NMLS ID: 279238 Cal BRE: 00853539 © Monarch Funding Corp. Designed by DVS Enterprises.